The Devil's Prayer was a departure from my normal type of book. This was a story within a story within a story that grabbed my interest from page one and held on until the end. I will say I wasn't able to read this at night, as it led to bad dreams, and during the day I found myself considering the what ifs. Dark, brutal, insane – these are the first words that come to mind when trying to describe this story. Devastating, frightening, serious – are the second thoughts that come to mind. Hopeful is the final feeling. We start by learning the history of The Devil's Prayer and how Herman the Recluse sold his soul to avoid death. Last we meet Siobhan and her sister, Jessie, who've been abandoned by their mother, or have they? The classic dichotomy of Good vs. Evil, God vs. Devil is ever present through these pages. At what cost would YOU go to save the life/soul of your child? Is that even a question? I loved how the story was based on true items, people, and events – these factors increased the authenticity of the story. 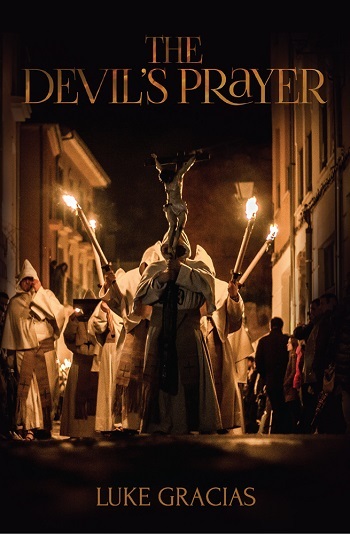 Reviewers on the Wicked Reads Review Team were provided a free copy of The Devil's Prayer by Luke Gracias to read and review.